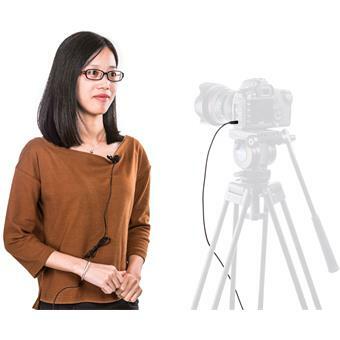 SR-XLM1 Battery-Free Wired Lavalier Microphone for DSLRs, Mirrorless Cameras, Video Cameras, Recorders, Smartphones and Tablets. 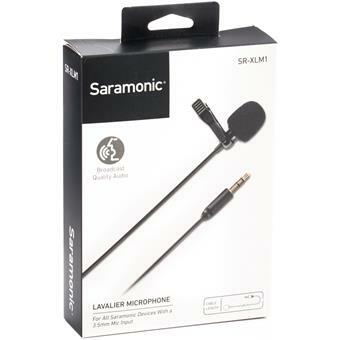 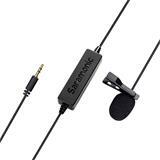 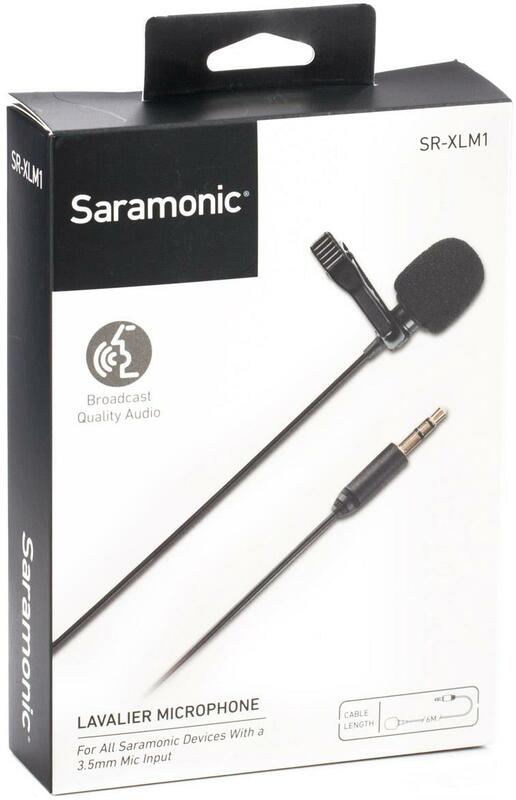 The Saramonic SR-XLM1 is an ultra-compact wired lavalier microphone that was designed to deliver broadcast-quality audio when used with DSLRs, mirrorless cameras, camcorders, audio recorders, smartphones and more. 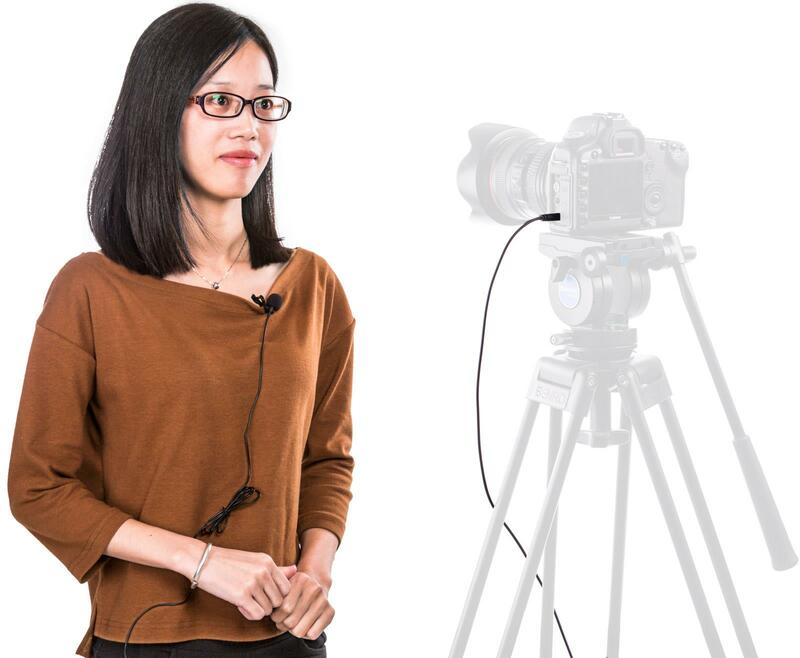 It features a 20-foot (6m) cable that gives you plenty of length to position your subject in front of a camera or accomplish other microphone positioning techniques. 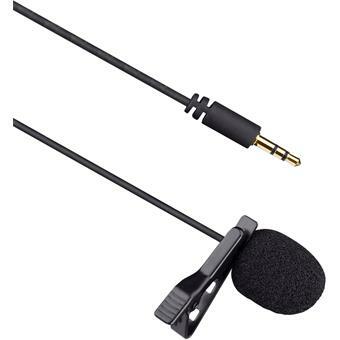 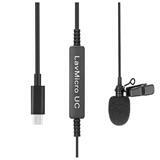 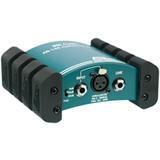 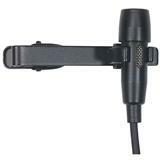 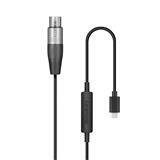 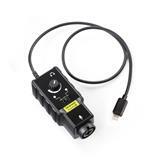 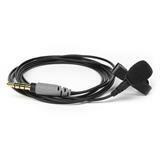 The standard 1/8" (3.5mm) connector is compatible with most cameras, audio recorders and other equipment. 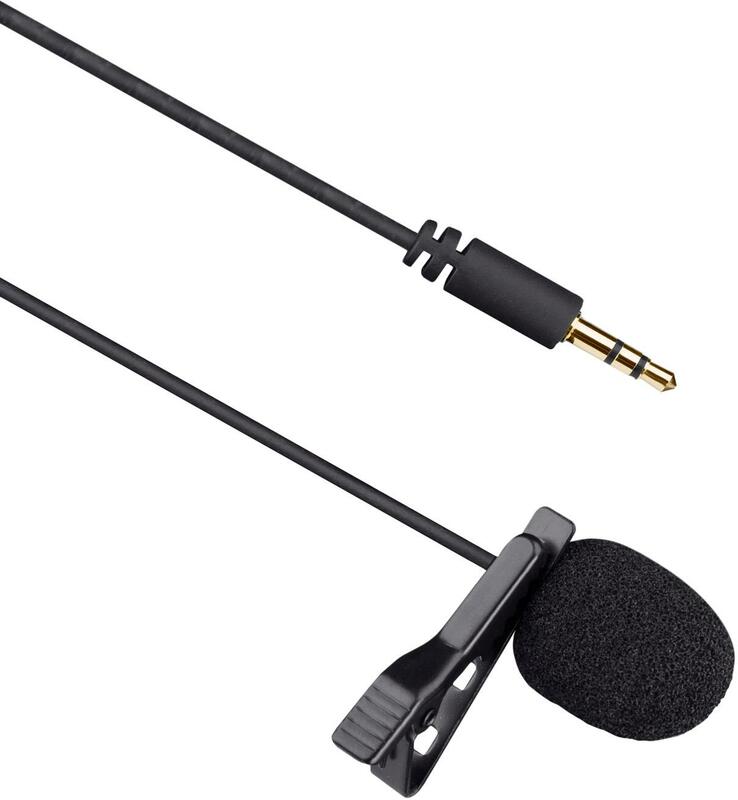 The SR-XLM1 features an omnidirectional pickup pattern that provides smooth, even sound regardless of how it's positioned on a shirt or collar. 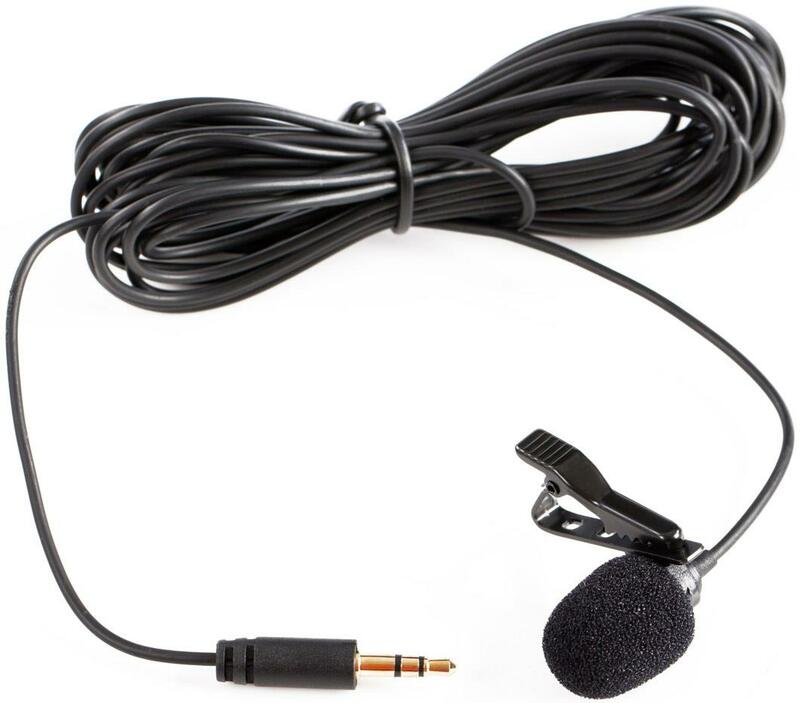 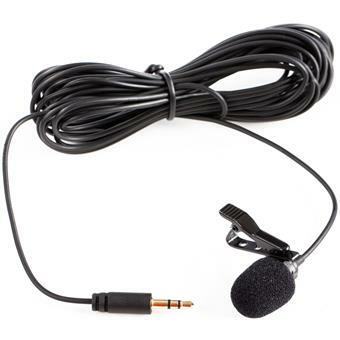 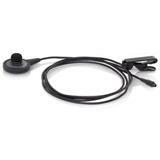 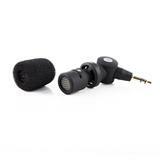 The microphone itself is ultra-compact and inconspicuous when attached to clothing, and an included alligator-style microphone clip provides a secure grip that keeps it fastened in place. 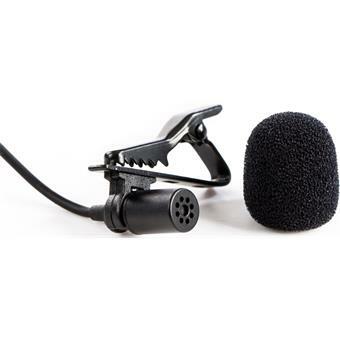 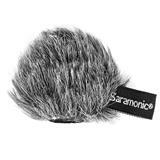 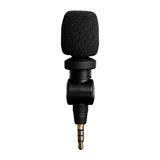 The included foam windscreen diffuses unwanted wind noise, and a soft plastic ring at the base of the windscreen keeps it snuggly attached to the microphone. 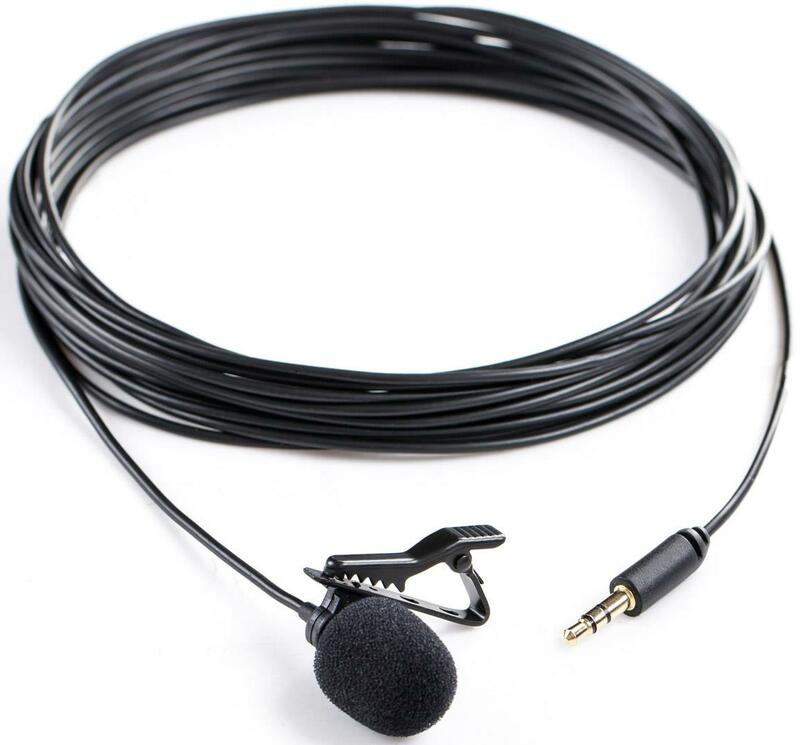 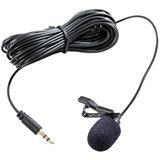 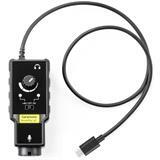 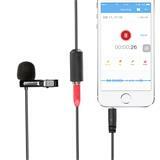 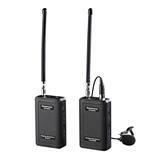 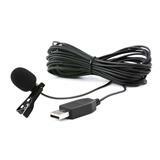 The SR-XLM1 is an inexpensive lavalier microphone that provides impressive sound quality and a higher signal-to-noise ratio than other options on the market, such as the more expensive Rode smartLav+.